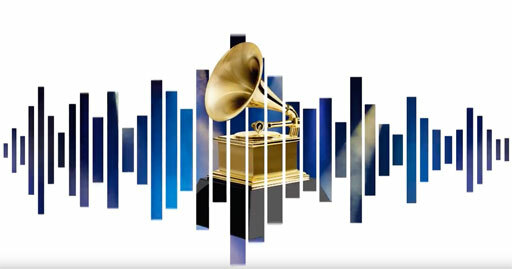 It was a great night at the 2019 Grammy Awards as fans saw out artists and LGBTQ allies take home many awards. Brandi Carlile, who went into the awards ceremony as the most-nominated woman of the night, took home 3 Grammys for best American Roots performance and best American Roots song for “The Joke,” and best Americana Album for By the Way, I Forgive You. "Americana music is the island of misfit toys," said Carlile as she accepted one of her Grammys. "I came out of the closet at 15 years old, when I was in high school, and I can assure you that I was never invited to any parties. I never got to attend a dance." "To be embraced by this enduring and loving community has been the dance of a lifetime," she added. "Thank you for being my island." Lady Gaga picked up three award last night beginning the evening's televised festivities with a win for Best Pop Duo/Group Performance for "Shallow," followed by Best Song Written for Visual Media ("Shallow") and Best Pop Solo Performance (for "Joanne"). In her acceptance speech, Mother Monster said she was proud that her hit movie, A Star is Born, addressed mental health issues. "If you see someone that’s hurting, don’t look away" said the openly bisexual artist. The Oscar nominee also made an appearance near the beginning of the show with Jennifer Lopez, Alicia Keys, Jada Pinkett Smith and former First Lady Michelle Obama. And yes, the standing ovation was awesome. International out pop-star Ricky Martin opened the show performing alongside Camila Cabello, J Balvin and trumpeter Arturo Sandoval. Out rocker St. Vincent snagged two Grammys: for Best Rock Song for “Masseduction" and Best Recording Package. Pansexual artist Janelle Monáe, who was nominated for Album of the Year and also Best Music Video, brought down the house with her performance of "Make Me Feel." Monáe, who came out last year, dedicated her Grammy nominations to her "trans brothers and sisters." "My trans brother and sisters, they do it every day. And they are shunned from these sorts of events. So this one is for them," she told Variety. And longtime LGBTQ ally, Kacey Musgraves took home four trophies, including top honor “Album Of The Year." She dropped the gorgeous and touching new music video for her song, "Rainbow," shortly before the Grammy festivities began. The video chronicles the everyday struggles of different people including a young queer teen coping with disapproving parents. “I keep dreaming of the day when we have a gay country music icon, that is loud and proud and really, like, a hero for country music fans, especially in these small towns where [LGBTQ people] are terrified of being themselves and feel like they have to hide,” Musgraves told HuffPost last March. Musgraves also scored for "Best Country Album," "Country Vocal Performance," and "Best Country Song." Here's the list of folks who took home honors last night.